We can all agree that the best photos end up being TRULY candid shots. These are photos where the subject isn't really aware that they are being photographed and are acting naturally. 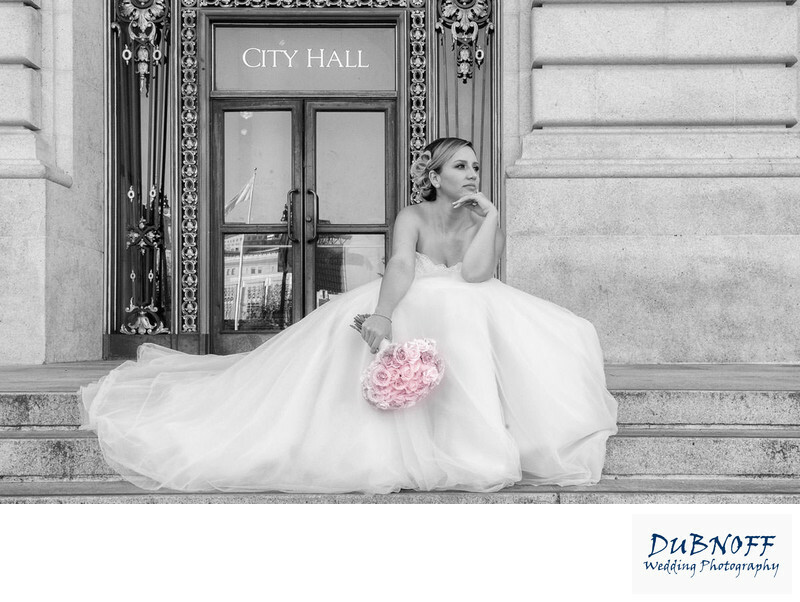 There has been a recent trend in wedding photography to create candid moments to enhance the final product. We can debate for hours whether or not this is a good practice, but it's definitely clear that real photo-journalistic images often have the most impact. Often times our client's tell us that they don't want posed shots, instead preferring "candid photos". We always try to give our clients what the want, but at city hall it can often come down to creating some of these moments by giving our clients some simple instructions. This is necessary because there is no reception coverage and so there are less opportunities for some of these magic moments to occur. We encourage our bride and grooms to interact and have fun together. Our whole focus during the shoot is to make it fun and hopefully this creates moments worthy of recording. One example of our technique is to have the bride and groom walk together down one of the building's beautiful hallways while playfully (and gently) pushing each other to the side. This can often create some fantastic candid looking images. Is this true photojournalism? No, but it's great wedding photography. To learn more about wedding photojournalism check out this website. Is the image above an example of photojournalism? Is it a true candid image? The truth is that it is not completely candid. Andrea WAS sitting there on the front steps of city and looking off into the distance. I took a few shots without her knowledge and loved the result. But of course her dress was crumpled and did not look that great. So we redid the photo after fixing her dress. Definitely not a candid photo, but a photo that she loved and chose for her wedding album!